When you hear the word “superfood” it might seem counter-intuitive to then talk about taking it as a daily supplement (like our Blu-Lina Organic Spirulina). Why not just get it onto your plate? There are a lot of reasons, but let’s start with a big one: taste and smell. Most people are looking to change bad habits, not just pick up new good ones. If you enjoy the mouth-watering taste of pizza, chocolate, and other American staples, the taste of many health foods will be quite an adjustment—probably one you will have a hard time sticking with. One blogger spent seven days eating spirulina. Although she found the taste less than palatable (she needed the strong taste of coffee to wash it down), she still noticed some of the health benefits (things like more energy, less bloating, better complexion, improved mood and even better mental clarity). Using a great supplement like Blu-Lina Organic Spirulina gets you around the taste. Then there are other benefits: it’s more compact for travel and there’s no risk of spilling; it’s easy to remember to do, especially if you already take supplements; and you don’t have to learn new recipes or make big lifestyle changes (at least not right away, but it’s always a good idea to work toward being healthier!). Plus, not all superfoods easily add themselves to your diet. If they’re uncommon, they’re not always available fresh, and in fact, they’re sometimes not available in their whole form at all (or are hard to find!). Why add spirulina to your day? 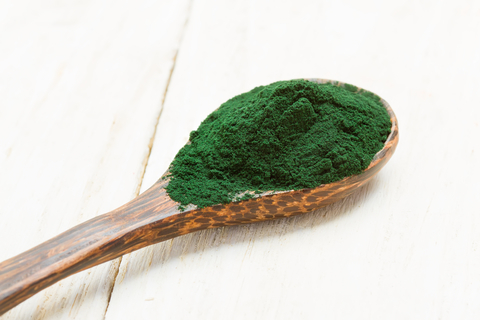 It’s loaded with nutrients; notably, spirulina is a vegan source of protein, B12, and iron. It’s got plenty of vitamins and minerals (including powerful antioxidants) amino acids, enzymes, and more. It’s a great way to round out your nutrition and get a boost for your whole body.